Home › • SPEEDTRAP - Straight Shooter 7"
• SPEEDTRAP - Straight Shooter 7"
Speedtrap’s debut album, Powerdose, took many by surprise and left many established acts eating dust on several end-of-the-year lists in 2013. 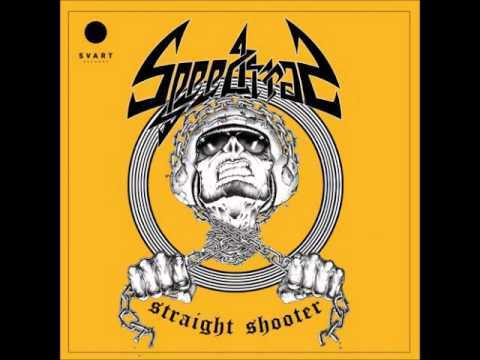 Metal Hammer called it “metal fed on a diet of Motorhead and alcohol, Exciter and suspect powders – high octane and hellbent for leather” while InvisibleOranges.com considered it a “fist-raising triumph.” Since then, Speedtrap have performed across the European continent and also gone through some lineup changes: Jaakko Hietakangas (ex-Ranger) has joined the ranks as second guitarist, and Antti Salminen has taken up bass duties while earlier bassist Markus Hietamies has switched to the drum-set. 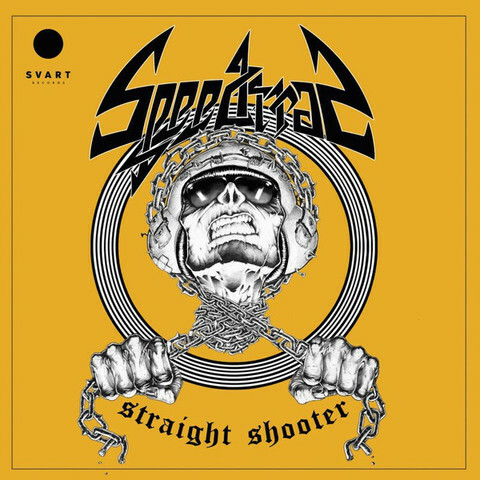 Even though Speedtrap still are a loud, obnoxious bunch of catchy riff-mongers with no regard for speed limits, Straight Shooter also showcases the band’s ability to push the envelope and, with their new dual-guitar setup, write memorable songs that twist and turn like a drag racer on LSD.